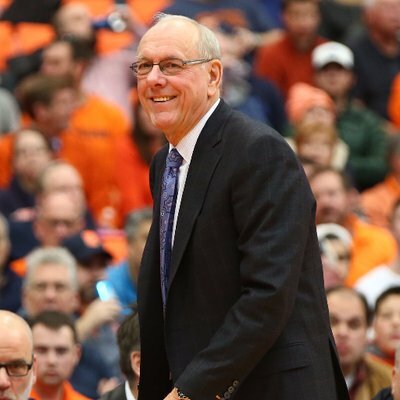 Just when you thought the 2019 class was done at four commits, Syracuse appears to be getting closer to adding some much needed center depth for the future. Jesse Edwards, a lanky center from the Netherlands, plans to visit SU from April 1st till the 2nd, according to multiple reports. There’s not a lot out there on Edwards outside of that video above because of his recent move to the states. However, he’s clearly got plenty of talent based on his intangibles and the quality of schools that have recruited him. Syracuse already has John Bol Ajak coming in this class at the center position but outside of that there isn’t much depth there in terms of next year. After missing out on Isaiah Stewart and the loss of Paschal Chukwu, that leaves Marek Dolezaj and Bourama Sidibe as potential centers for next year. Oshae Brissett and Robert Braswell present some interior size too but we all know what Jim had to say about playing Brissett at the five. Who knows exactly what Syracuse could be getting in Edwards if he decides to commit. He could be a hidden gem or a project that never pans out. We know one of the biggest critiques with the past five years of SU basketball has been the play at center. The lack of polished bigs like a Rakeem Christmas has limited Syracuse’s ceiling. There’s no denying that. Edwards appears to be another player that might take some time to develop. That’s also what many thought of Dolezaj and Brissett though because they weren’t known commodities. At the very least, Edwards has a build that measures well for the zone and would bring some added depth to a spot where the Orange could use it.